"A Paradise for Nature Lovers, Lake Palace in Thekkady is one of the best places to enjoy amazing luxury and comfort in the midst of exotic verdure and lush of the surrounding jungles. 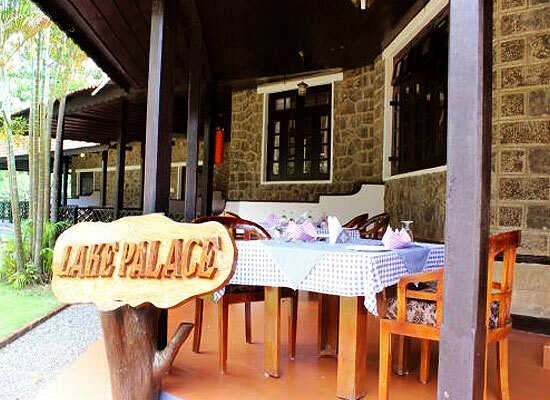 Furnished with all the modern and state of the art facilities and provided with amazing service, the Palace is adorned with antique interiors, enhancing the overall experience of the stay while vacationing to enjoy the wildlife and beautiful sights of Thekkady. 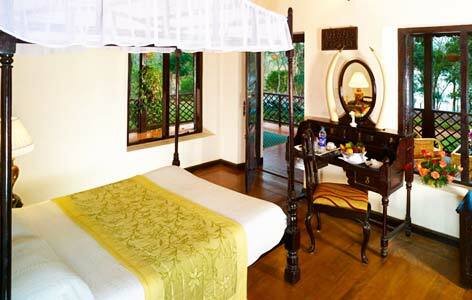 Situated in the middle of Periyar Lake, Lake Palace, Thekkady is definitely an ideal relaxing affair. The Lake Palace, Thekkady was the former summer palace of the King of Travancore. It was also one of the favorite relaxing spots for erstwhile British Viceroys and Governor-Generals to enjoy the raw nature and exotic wildlife. The Palace, due to its ideal location provides perfect isolation, bringing guests and residents to the doorstep of nature and superb tranquility. Hence it was the best place for the royals to completely unwind and feel at ease. 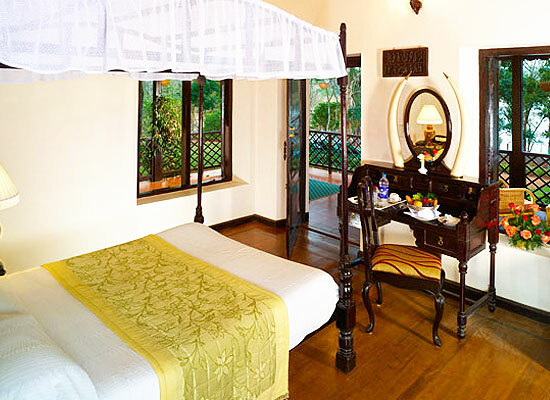 The Palace is adorned with 6 rooms with one premium and 5 other rooms. The tariff of the rooms change according to the season and include Breakfast, Lunch and Dinner along with complimentary boat cruise as well as guided trekking in the forest. 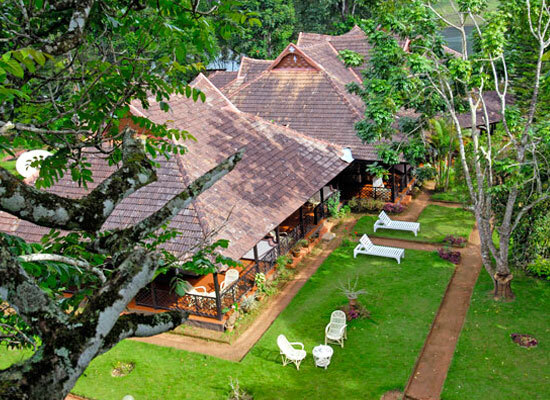 All the rooms afford the stupendous views of the Periyar Lake and surrounding greenery. The rooms are embellished with all the modern and contemporary amenities and facilities while the comfort of the guests is the top priority of the staff. There is dining room at the Palace, offering delicious and sumptuous meals prepared by expert chefs and ranging from local sea food and delicacies to other Indian, Continental and Chinese courses. The dishes are exclusively prepared with coconut oil to take care of the taste and health of the guests. The Periyar Wild Life Sanctuary is located vary close to Thekkady and people who wants to visit this exclusive wildlife stops over at Thekkady. With its historic temples, monument s and a wide array of the innate denizens of nature it is one of the popular wild life sanctuaries in India.